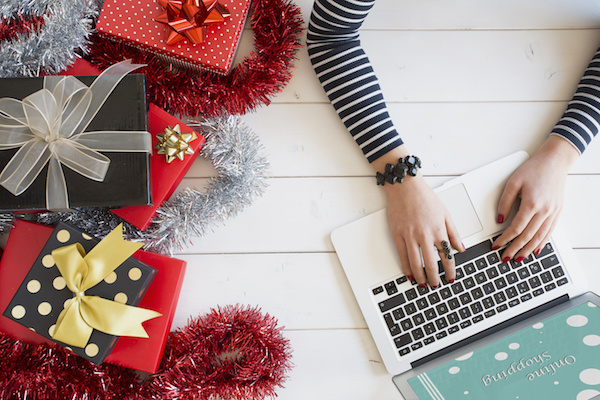 The holiday season is a busy time of year for most e-commerce businesses. Customers love the convenience of online shopping and they also appreciate the wider selection, better prices and array of discounts. Although most business owners gear up for the festivities of the season in the early weeks of October, many of them neglect last minute revisions that could help boost their e-commerce sales in the weeks following. When it comes to Christmas, intuitive business decisions have the ability to keep the sales flowing into your online store. In fact, a study from RCS UK shows that 38% of buyers actually start their Christmas shopping over a month ahead, so you better get started. With only a few short weeks until the seasonal celebration, we want to encourage you to take some helpful advice in order increase e-commerce sales over the holidays. Positive goals are what moves us forward and the same thing rule applies when it comes to e-commerce business. For example, you may choose to outline a sales objective for the month of December, keeping in mind that it should be specific, measurable and achievable. This will allow you to learn, grow and improve in the coming years of business ownership. Holiday banners, photos and festive colours are ideal ways to show that your business has a little Christmas spirit. For holiday shoppers, this warm, welcoming imagery plays a huge role in carrying out e-commerce sales. It’s also a good way to advertise any seasonal promotions that you have going on. The idea is to cross-post any of your holiday visuals onto your social media platforms in order to optimize all your available resources. There is nothing more annoying than spending the time sifting through must-have products on a website only to find out that the items you decided to purchase are out of stock. Popular items will move quickly and around the holiday season you want to make sure that you aren’t scaring your customers away from making future purchases. Have your inventory fully ready for Christmas shoppers and if you’re unable to keep up with the demand, make sure that your products clearly state that they’re out of stock before a customer attempts to add it to their cart. The holiday season is famous when it comes to postage delays, so it’s incredibly important to let your customers know if the item will be able to make it to their mailbox in time for Christmas. Cutoff dates may deter a customer from making a certain purpose but it will create a level of trust that they will appreciate in your brand. Have you made any other important business decisions that have boosted your sales? Tell us in the comments section below.